Cathy has over 28 years of experience as a not for profit Executive Director/CEO and has spent more than 30 years of her career in the not for profit sector. She consulted in the not for profit field, primarily in the area of governance and philanthropy for more than 10 years. She was a corporate trainer in the area of diversity, planning and creativity. She has always been an advocate for women and girls, since the time she was denied a paper route because she was a girl. She started her professional career in the movement to end violence against women and also spent time as CEO of a Girl Scout Council. With masters’ degrees in both Urban Planning and Counseling, Cathy working for the city of Kansas City Planning Department and in the mental health field. She has always been a change agent, leaving the organizations for which she worked in much better shape than she found them, often doubling membership, philanthropy and stabilizing or improving their physical infrastructure. She has served on several national task forces, chosen by her CEO peers in her profession. She has won awards for advocacy and communication and traveled internationally on one of the first Rotary Group Study Exchange programs. She is the mother of 2 daughters and is married to her partner, PJ Lassek. Kerry joined the Ferry Beach team in February 2019. She comes to us with a background in facilities and operations, as well as event planning and systems management. Kerry worked in higher education since the mid-1990’s, training hundreds of student employees to run and maintain their student-funded facilities. Oversight of large, multi-function student unions and campus centers, Kerry garnered extensive experience coordinating conferences and events both large and small. Her facilities experience includes building of a 300,000 square foot Advanced Technology Center, and multiple renovations of various facilities including classrooms, event spaces, meeting rooms, residence halls, and recreation facilities. Kerry earned her Master’s in Business from Columbia College in 2004. She is a certified CONNECT Suicide Prevention Trainer through the National Association on Mental Illness, is a trained TIX investigator through the American Student Conduct Association, and has taught wellness, career development and leadership classes since 2000. Kerry has been a Hospice and palliative care volunteer since 1994, and is an active member of a 12-step recovery program for friends & families of alcohols and addicts. She resides in Biddeford, and outside of work you will find her on a wooded trail or at the beach with her wife and their two Australian Cattle Dogs. Linda was born and raised in sunny Southern California, but always dreamed of four seasons growing up which made her decision to attend the Culinary Institute of America in Hyde Park, New York an obvious choice after 7 years as a computer systems analyst. She studied at the CIA for 3 years earning her BS in Bakery Management and achieving the Craig Claiborne Culinary Writing award upon graduation. Love of food writing propelled her to achieve a masters degree in Food History which lead to her dissertation work being published as a book, The Evolution of the American Woman Chef. She worked in the culinary industry holding various jobs such as smoking salmon, bakery work, wedding cakes, and savory foods. Travel has always been a passion and mixed with her love of food this passion has taken her as far as Vietnam where she acquired new cooking techniques and developed a passion for Asian foodways. After working in the culinary industry for a few years, Linda again became restless and endeavored to explore the culinary travel industry which lead her to Kings College London to pursue a masters degree in Tourism Environment and Development. Her dissertation work for this degree lead her to Amsterdam to explore the dearth of food tourism in the Netherlands, and once there decided to stay and open a baking business and work as a personal chef and teacher for a dining event business. Maine was never far from her mind and she made the decision to return and explore food options in her adopted home 3 years later. 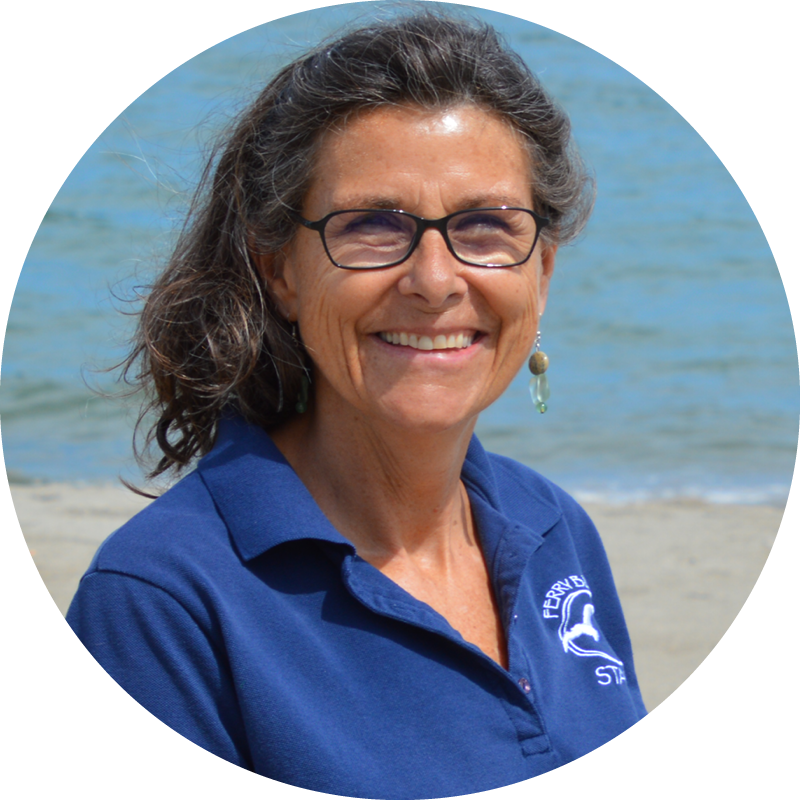 Having worked for Ferry Beach two separate seasons, she always felt the draw of the center for the loving nature of the environment, people and the serene location. When asked to come on as Food Director in 2018, it was a no-brainer. Sally was born in Massachusetts and completed a 4 year college degree at Salem State University in Salem, MA. She receiving a BS in Business Administration with a concentration in Marketing and a minor in Communications. Before having a family, Sally worked as a Store Manager for several Retail Stores and was a Marketing Manager for Chrysler Corporation in the Houston, Boston and Baltimore/DC/Norfolk Areas. Relocating to New Hampshire and starting a family, Sally worked as the Membership Director at the Rochester Chamber of Commerce and Membership Coordinator at the Works Health & Fitness Center. 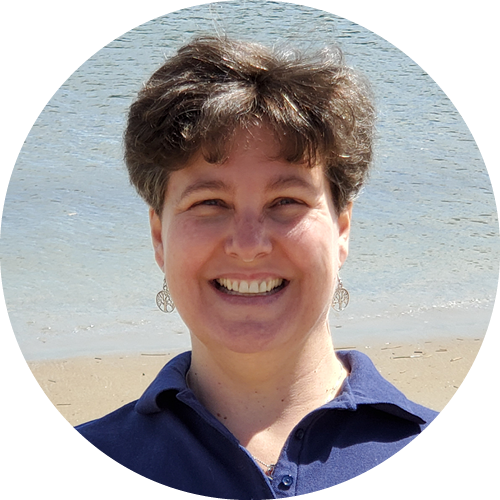 Most recently, moving to Maine, and currently works as the Registrar/Office Manager at Ferry Beach Park Association. Brian was born and raised in the Southern Maine region. In high school he began exploring his love for photography and design and took multiple classes in each program and chose to continue on that path through college. After receiving his degree in Digital Media, he began his career in marketing for a small non-profit in Sanford, ME doing large scale work in the global biosafety and biosecurity industry. Some of his professional accomplishments have included several website development and design projects, rebranding well established organizations, and creating and implementing many successful and quantifiable marketing plans. Brian is a multi-faceted individual with proven skills in Marketing, Public Relations, Graphic Design, Social Media, Website Development, Branding, Computer Technology and Software, Database Development and Management, Meeting Management and Facilitation, and Communication. Brian spent 9 years learning, growing and developing his career, skills and techniques at one organization before moving to Ferry Beach and is excited to bring his talent and creativity to the Beach! Steve Carpenter is what would be called a jack of all trades if there ever was one. Coming from a background in skilled trades and environmental studies, Steve has been able to bring to Ferry Beach a vast assortment of knowledge to continually update the campus appearance, as well as reduce our carbon footprint. Steve grew up in rural Massachusetts where he would spend his time learning new trades in high school with the help of his father, and volunteering for several organizations while in the Boy Scouts. Attaining the rank of Eagle Scout at 16, Steve learned quickly and exhibited strong signs of leadership in groups, and was always willing to lend a helping hand to those in need. During the summers between college, Steve worked for the Massachusetts State Park service as both an employee and intern, where he learned the ins and outs of a working campground, as well as what it takes to run a large scale facility. 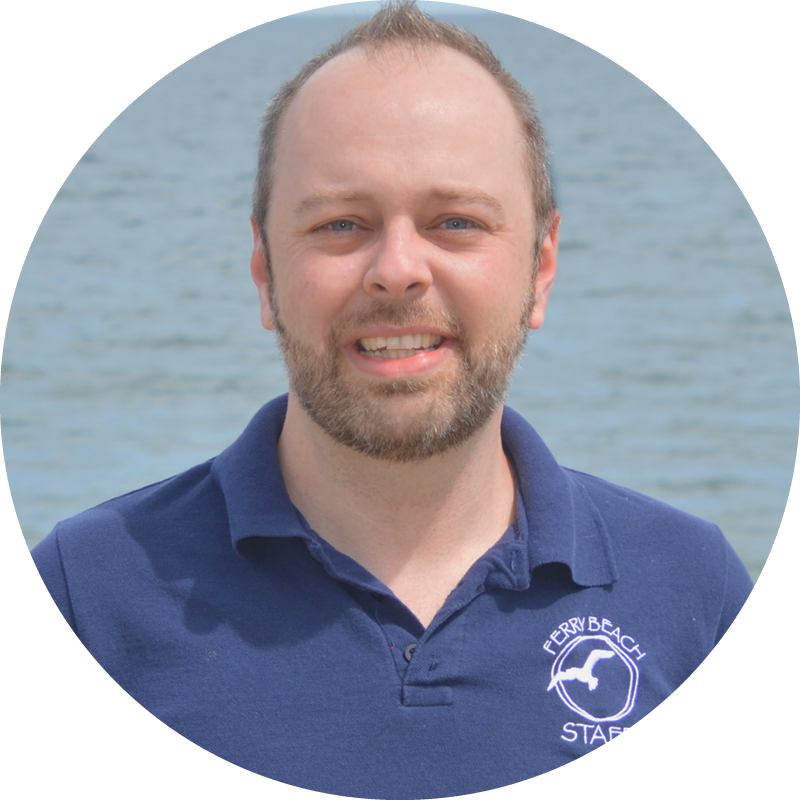 Steve Graduated in 2014 with a bachelor’s of Environmental Studies from Massachusetts College of Liberal Arts, and moved to Maine a few months later where he started his position working at Ferry Beach. He has been with us since December of 2014, and has shown great pride in his work as well as made countless improvements on campus to make Ferry Beach feel like a home away from home for its guests for years to come. When not focused on his work, Steve can be found outdoors enjoying nature, or spending time with friends and family. Donna was born and raised in Scarborough, Maine. While in High School, she completed a two-year technical program. She married her husband, Dennis, in 1980 and began her career as a part-time Secretary. As her family grew, Donna became a stay-at-home mother of two daughters and started an at-home daycare which she lovingly ran for 12 years. With her love and high attention to detail for cleaning and organization, she decided it was time to start a new business. 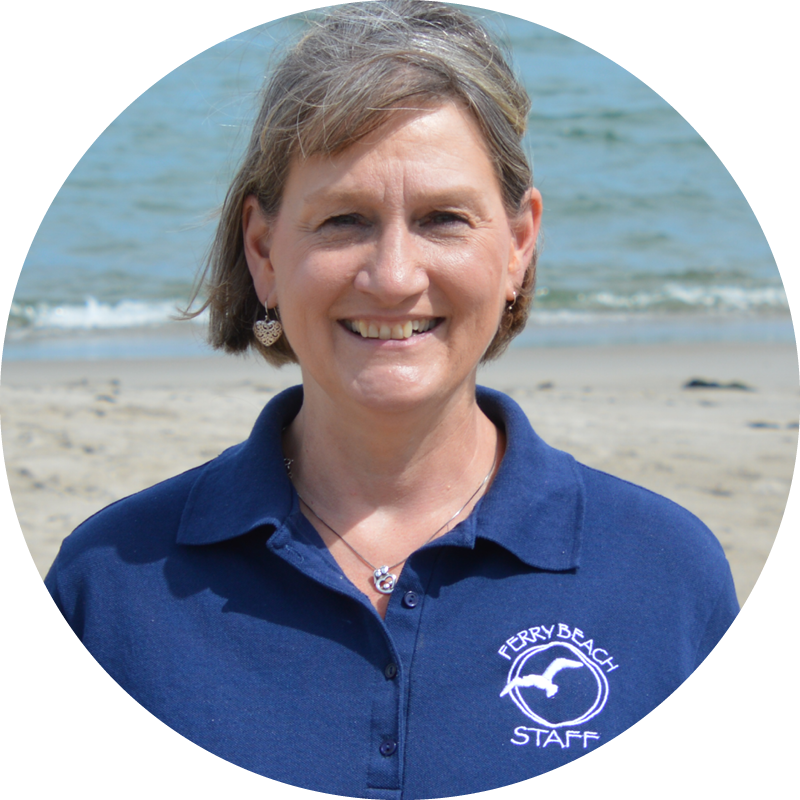 Donna owned her cleaning business for 18 years, which brought her to Ferry Beach when she was hired as a contractor to clean the campus for weekend groups. Later that year, she was asked to take over the cleaning on change-over days which eventually led her to be hired as the Head of Housekeeping at Ferry Beach. ​Vanessa joined Ferry Beach at the end of March 2019. She came to the USA in 1999 as an international exchange counselor from South Africa. She met her husband, Dave, at camp and became a US citizen in 2008. Vanessa has over 12 years experience in non-profit Camp, Retreat and Conference ministry, ranging from Camp Counselor to Guest Service/Hospitality Director and everything in between. She has certification in Challenge Course Management and has attended numerous ACA and other Camp Leadership Conferences and Workshops. She spent the last 4 years working as Administrative/Customer Service Coordinator for a Machine Tool Sales company, but missed being in the retreat and conference ministry and longed to return. Vanessa loves to travel and after completing a visit to Alaska in 2020 will have been to all 50 states. She also returns to South Africa every 2-4 years to visit family and friends. When not at work you will find her at the beach, on a trail or spending time with Dave and their dog Jesse.